For the finest foam insulation installation experience in Cincinnati, OH, contact the experts at 31-W Insulation. Since 1972, we have provided countless customers across the United States with quality insulation installation and other home improvement services, and we are proud to offer our experience and expertise to you. 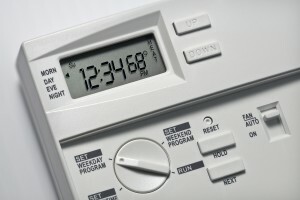 Is it difficult to keep your home at a steady, comfortable temperature without constantly adjusting the thermostat? Is your energy consumption from your HVAC unit extraordinarily high? Is anyone in your home experiencing breathing difficulties as the result of asthma, allergies, or other respiratory conditions? If the answer to any of these questions is yes, then you might want to consider upgrading the insulation in your home to foam insulation. Polyurethane foam starts out as a liquid, and, when activated, it cures into a solid-form insulating material. When our technicians spray the insulation onto surfaces in your home, it seeps into the tiny nooks and crannies that allow your expensive conditioned air to escape and outdoor pollutants to enter. Once those openings are sealed, you will experience a cleaner home air environment that can make breathing easier, as well as more consistent temperatures that can make your home more comfortable year round. When you choose 31-W to install your new foam insulation, you can be sure that you are choosing the finest installers in the business. Our technicians are licensed and certified, and, like everyone else in the company, are determined to provide you with the finest installation experience and outstanding customer service. Contact 31-W Insulation today to learn more about the benefits of foam insulation installed in your Cincinnati, Ohio, home.